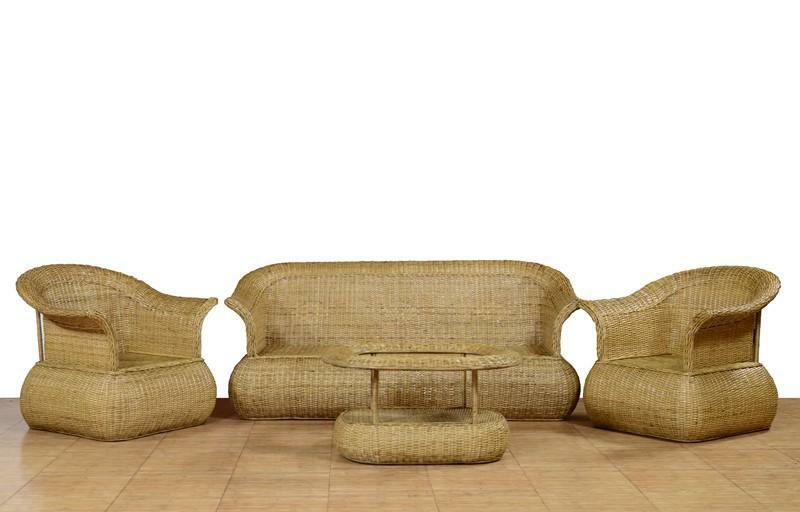 Modern designer cane furniture Sofa Setting made from top quality cane of North-East India. The design of the sofa is such that your body posture remains relaxed and the arm rests are curved at an angle so that you can rest them well. Includes One Triple Sofa, Two Single sofas and One table.